Since it launched in 2006, the franchise has been considered the Cadillac of its genre. It’s known for stunning colors, amazing player details, and realistic sounds. Those features are even sharper in the 2014 iteration of this exclusive for PlayStation. 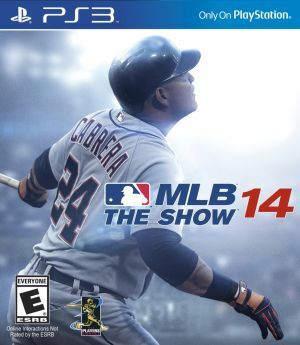 “MLB 14: The Show” (Sony) offers a richly vivid and true-to-life depiction of big-league play. It’s a lot of fun, and contains nothing morally objectionable — unless you count the presence of that rival team you love to hate. The most significant change for this year reflects a paradoxical reality: While video games are usually paced to please attention-deficit types, baseball has always been regarded as a deliberative — some would even say slow — pastime. For those who want a microscopic, game-of-inches experience, “MLB 14” is a home run. To get any closer to the real thing, you’d have to be in the dugout. In an effort to reconcile these contradictory characteristics, the developers have added a new feature. It’s called pitch count, and it allows each hitter to start his at-bat with balls and strikes already recorded. In other words, the player can choose to step to the plate with 2-1 or 3-0 already showing on the scoreboard. This is meant to quicken the pace of gameplay, and it does. Whereas a single matchup used to consume a couple of hours, in the new version nine innings can be played in under 30 minutes. Pitch count can, however, disrupt a gamer’s rhythm. And many a baseball devotee will likely consider such corner-cutting nothing short of a sacrilege. A less controversial alteration allows players to carry their stats over to the next season, so they won’t have to start from scratch when next year’s version is released. “MLB 14” maintains a tradition of high technical standards: Pitchers can place balls with real-life precision, and batters have different styles of swinging — as well as an option to guess the next pitch based on the ones that have gone before. Arguably, the game also gives players a better idea of what it’s like to hit a baseball than watching television would. On TV, after all, there are camera cuts between a pitch and a hit. Here, by contrast, you can follow the full, graceful arc of the ball uninterrupted as it sails from the bat into the air and on to the outfield. Gamers have an abundance of choices to make. They can control a whole team or take on the persona of a single player; the timeframe can be one game or a whole season. In the “Road to the Show” mode, they can experience life in the minors. Other modes include batting and pitching practice, home run derby, and exhibition games. There are also several options for playing in different venues, including Fenway Park in Boston, Nationals Park in Washington, and Yankee Stadium in New York. The digital players themselves are strikingly, even eerily, lifelike. The avatar for Washington Nationals third baseman Ryan Zimmerman, for example, walks, fields, and even expresses frustration at striking out precisely the way his human counterpart does. To some fans this might even come across as too realistic. The fantasy element inherent in digital entertainment is somehow diminished when what you’re looking at on screen so closely resembles what transpires at the ballpark. For those who want a micromanaged, microscopic, game-of-inches experience, on the other hand, “MLB 14” is a home run. To get any closer to the real thing, you’d have to be in the dugout. Judge reviews video games and comic books for Catholic News Service. His grandfather played in the majors in an era before video games.